The steering module is completely fitted inside the car. 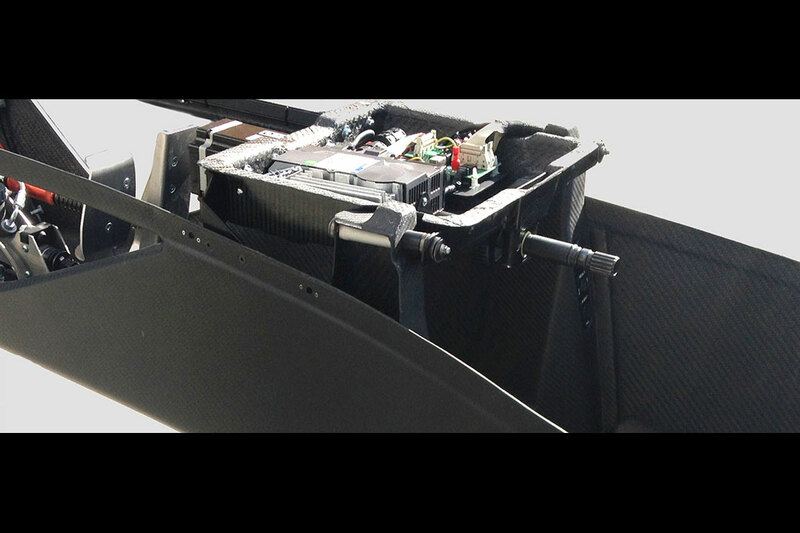 It’s accessible by simply removing the chassis top cover and it offers a new improved shielding against electromagnetic disturbances, for the benefit of a more stable system. The feedback of the steering wheel is secured by a tire mathematical model calculation, which is one of the most advanced in the world and it’s constantly updated to the latest technology. 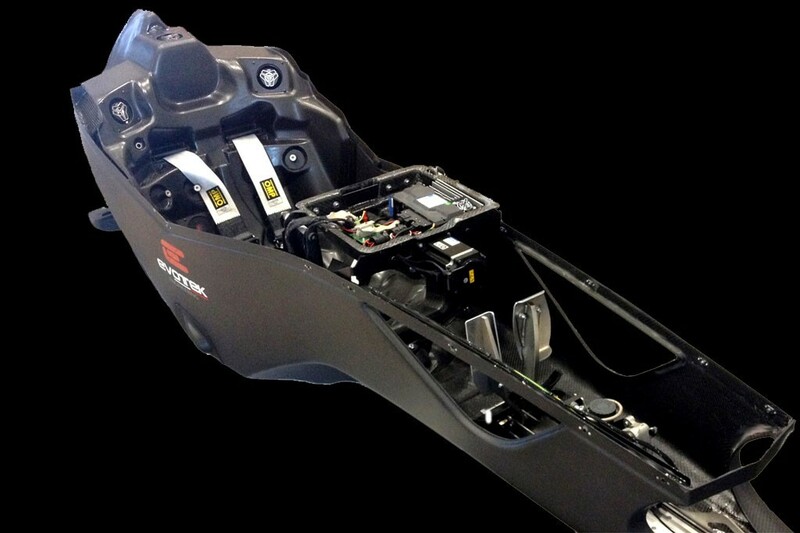 The hardware is designed to accurately reproduce the wheel dynamic stresses, especially the power assisted steering systems of the current F1 cars. 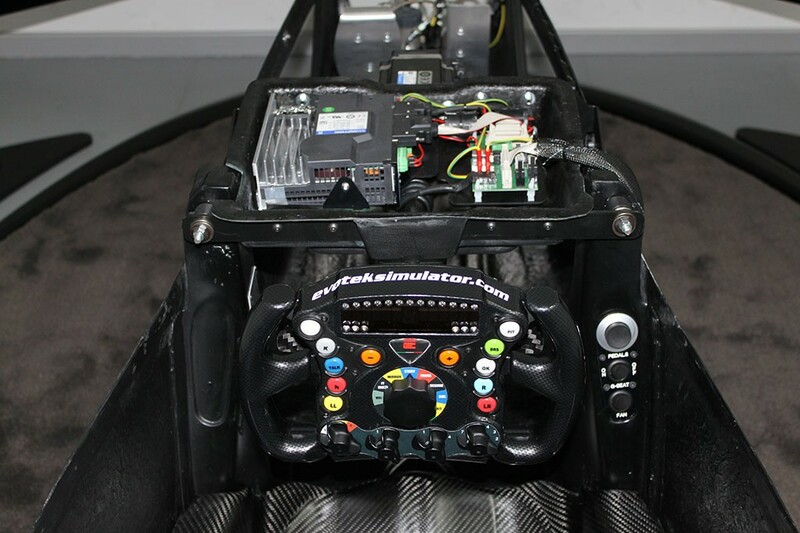 The steering module has a ratio of 1:1, which is the one that most prestigious teams typically use on their professional simulation systems. The advantages of a direct connection are: higher precision, increased driving control quality and advanced degree of reliability. On the upper end of the steering column an electrical connector is inserted for the quick release steering wheel interface controls. The carbon support structure integrates all the mechanics and electronics with a significant reduction of the overall dimension and weight. while the second one concerns the software and provides the disconnection of the torque feedback if abnormal behaviors are detected. The steering assembly has a brushless servo-motor of 15 Nm maximum, powered by a professional three-phase driver unit with forced cooling.